On April 11, at 09:16 an emergency call was received to “911” service that smoke was coming out of the building 18 on Masis highway in Sis village, Ararat Province. The fire was isolated at 09:50 and extinguished at 10:43. 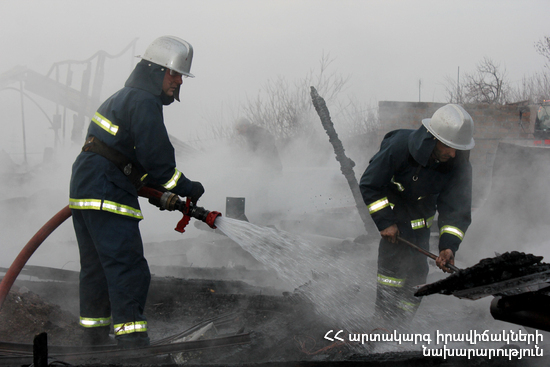 The wooden constructions of the roof (about 5 m2), bran (2 m3) and a plastic pipe burnt.